How do you make a good shower better? With an improved washcloth, of course! Joy added a little touch of spandex for a little added stretch. 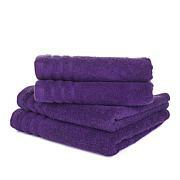 Now you can find everything you want in a washcloth: lasting durability and bleach and cosmetic resistance. 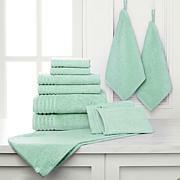 Savor the feel of these plush, pretty, practical washcloths — thanks, Joy. 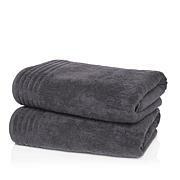 I had purchased the towels also, and wasn't fond of the stretch in the towels. but the stretch in the wash cloths works for me. I grab opposite corners and stretch the wash cloth up and all the way down my back for a soapy clean. seems to they soap up faster and better.Also the clearance price makes them affordable. 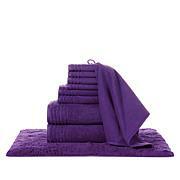 I loved the supreme cosmetic resistant bleachable towels and washcloths I bought last year. These new stretch ones,not so much. Did not bloom after several washes and are thin and somewhat rough. I will return them. I love Joy's products though and hope she can bring back the non stretchable bleachable towels and washcloths again. Go Team Joy! I'm very disappointed in these towels. Unfortunately I've opened and laundered them so I can't return them. I was hoping once laundered they'd be thicker towels, but, not. Not my favorite. Spandex in wash cloths ???? really?? I have used Joy's wash cloths before and loved them, they lasted for years.I wish I had returned them. I don't even think they will make good rags, because they are not absorbent. I would like to read more reviews to see what others thought of this fabric. These are impossible to wring out when you wash your face (or body), they are so thick. When I washed them, I had to empty lint tray 4 times in 1 hour. Be sure to wash alone or your will have lint covering all items.